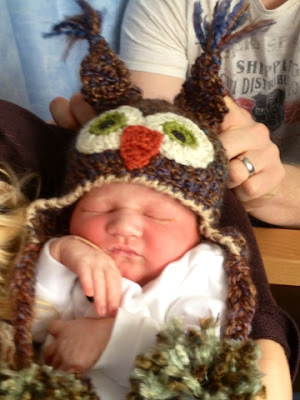 On the 25th March 2013, around about 5am, my beautiful little nephew Samuel (aka tummy bean) was welcomed into the world. My sister was in labour for a good 12 hours, and at home everyone was up all night pacing footprints into the floorboards. Everyone that is, except me. I baked. And these, as my Mum disturbingly nicknamed them, are the result: "labour cupcakes!" As per usual, today I was in charge of dessert, so armed with Edd's "Say It With Cake," I arose on Easter Morning (minus an hour in bed, pah!) to make us a delicious treat - salted caramel apple pie. My Dad absolutely loves apple-y puddings in any way, shape, or form, and my Mum is an absolute fool for anything with the words "toffee" or "caramel" in the name - so I thought, why not combine the two with this recipe? Plus, it gave me a chance to delve into my new book for the first time, thanks The Boy Who Bakes! 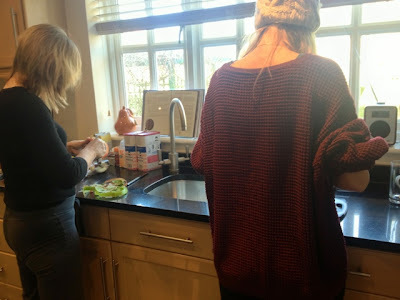 My pet hate is peeling and chopping apples, so first I employed some trusty helpers in the form of a sibling and a Mother! We sliced up 1.3kg of eating apples (pink lady and granny smith) then tossed them in cinnamon, nutmeg and cornflour. Apple elves peeling, coring and slicing! 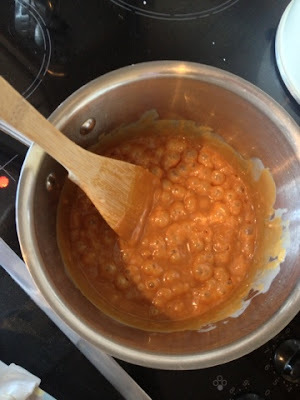 First to make the caramel filling - melt the sugar in a medium pan over a medium heat until its browning around the edges. Then add half the cream, it bubbles up furiously so watch yourself! When the bubbling has calmed, add the rest of the cream, stir in the butter and the mixture should turn a golden brown color. 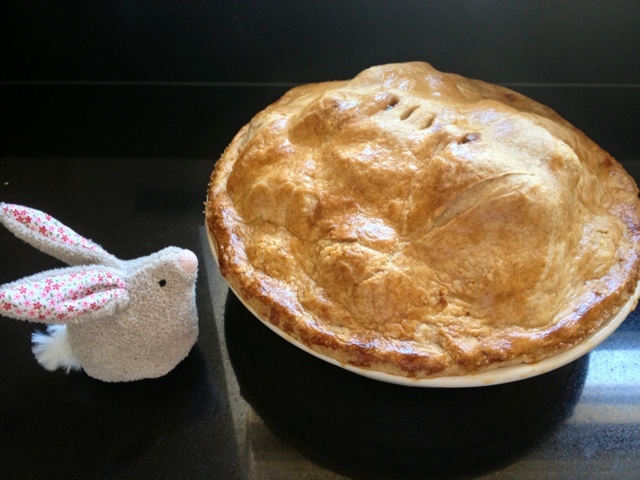 Leave to cool while you make the pastry and assemble the pie. 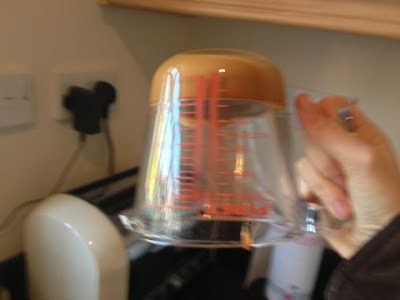 As you can see, when the caramel cools it goes rock solid (or this may just have been mine...), but just zap it in the microwave when you're ready to use it! Er... Ed, we have a problem. 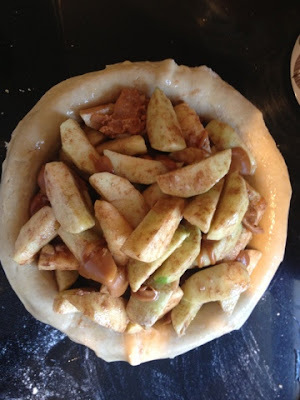 Fill with one third of the apple filling, then top with some of the caramel. Repeat twice until you have used all the apple. 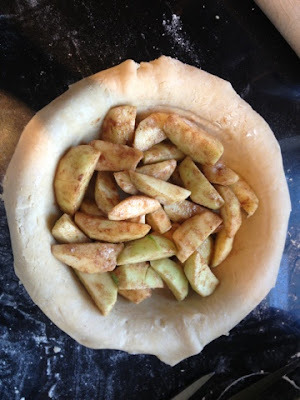 Roll out the rest of the pastry and top the pie, using your fingers to crimp the edges. Glaze with the beaten egg and water. Use a sharp knife to make some ventilation holes in the top. Bake in an oven preheated to 180 degrees Celcius (fan oven) for ten minutes, then turn the oven down to 170 degrees and bake for another hour. If the pastry is browning too fast then cover it with a foil tent. Remove from the oven, leave to cool slightly then dig in! Served warm with a blob of vanilla ice cream after a yummy pork roast, this was absolutely gorgeous. 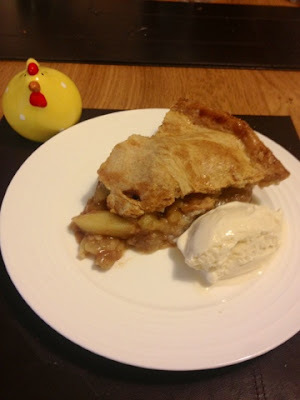 The salted caramel taste wasn't as prominent as I thought it would be, but it really bought out the cinammon coating the apples and made for a really rich apple pie, so I would definitely make this again! All in all, a superb pudding, perfect for feeding a hungry family. It IS Easter after all, how could I not? 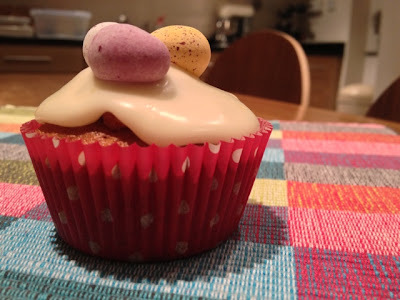 This was my first attempt at these delicious traditional buns, so don't judge too harshly. Lightly grease two baking trays. Measure the flour, salt, spices, yeast and sugar into a large bowl and stir to mix. 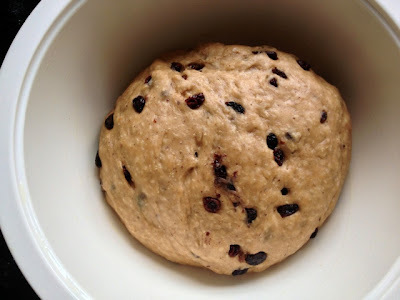 Make a well in the centre and pour in the melted butter, milk, water and eggs, adding the currants and peel to the mixture last. 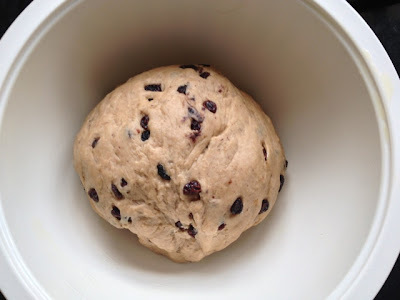 Turn the risen dough out on to a lightly floured work surface again and knead for 2-3 minutes. 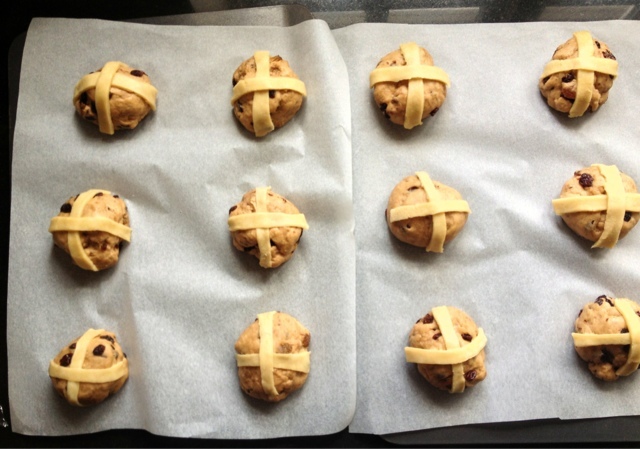 Divide the dough into 12 equal pieces and shape each one into a round bun. 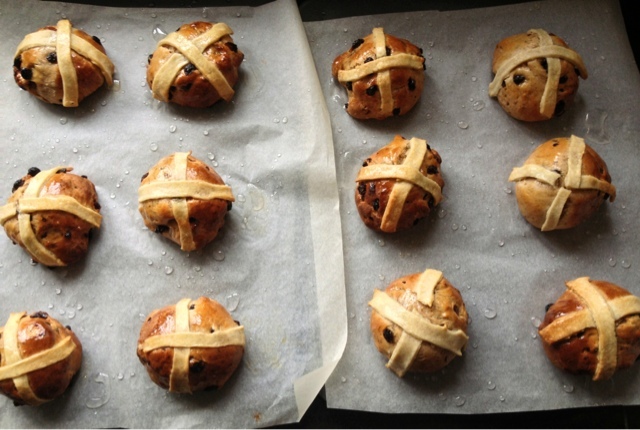 Make the cross on top of each bun with a knife, then place onto the prepared baking trays, cover with cling film and leave to rise again in a warm place until doubled in size. This should take about half an hour. Preheat the oven t0 220 degrees Celcius (fan 200)/ Bake the buns for about 15 minutes until brown and hollow sounded when tapped on the bottom. While the buns are baking, dissolve the sugar in the water over a gentle heat. As soon as the buns come out of the oven, brush them with the syrup to give a sticky glaze. Toasted and slathered in butter; perfect. 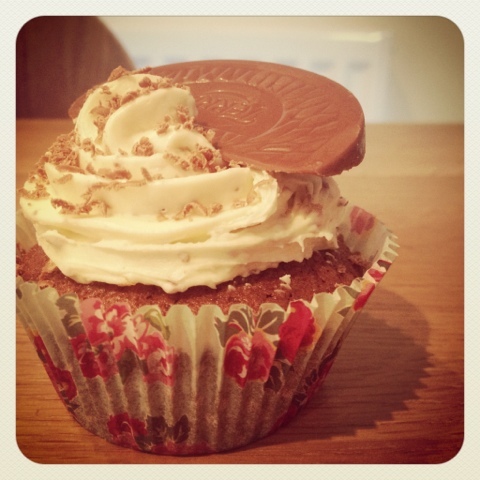 Another Eastery treat for you.. delicious chocolate orange cupcakes. If there is one thing I have learned from making these it is this: attempting to hide chocolate from my mother is futile. Utterly futile. Subsequently, the making of these cupcakes was significantly delayed by the guilty party having to make an emergency supermarket run to buy me another Terry's chocolate orange! Alas, when they were finally complete though, they were a real treat. Quite a funny recipe, adapted from a whole cake which involved cooking and blending an ENTIRE orange. VERY satisfying. Simply ignore the ganache recipe, instead make up a normal buttercream,then stir in some orange extract and cocoa powder. It can be as chocolatey or orangey as you'd like it to be. 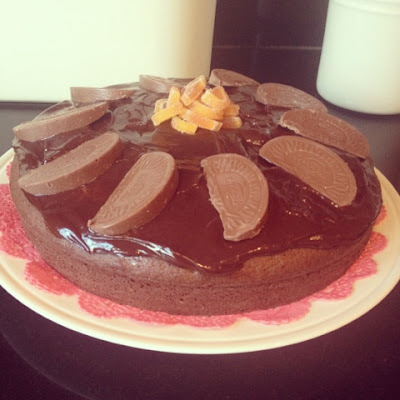 I also grated some chocolate orange on top and decorated with an entire slice of chocolate orange - indulgent in the true Nigella sense of the word! This was the result of a baking urge that simply could not be suppressed. Turning to faithful Mary Berry on the bottom shelf of my bookcase, this was the only thing I fancied that we had the ingredients for. A good thing too! It turned out to be delicious. 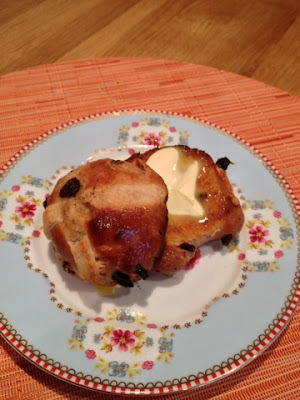 AND these would make a delicious Easter treat due to their traditional orange flavouring, rather like a hot cross bun in a cake, don't you think? Preheat the oven to 180 degrees Celcius (fan 160). Grease a 30x23cm traybake tin then line the base with baking parchment. Bake in the preheated oven for 25 minutes then sprinkle the top with demerara sugar and return to the oven for a further 10-15 minutes or until the cake has shrunk from the edges of the tin. Leave to cool in the tin, then cut into slices. Make up the icing, and drizzle generously over the top. Decorate as you choose, I used Lakeland orange and citrus sprinkles. Moist vanilla sponge filled with chunks of delicious melty marzipan and sweet glacé cherries - the very essence of Easter flavouring. I also added almond extract to the sponge for that extra flavour. And of course, what else on top but cadburys mini eggs? Easter wouldn't be the same without them. I made these after being home from university for a week or so, recovering from a rather nasty chest infection. 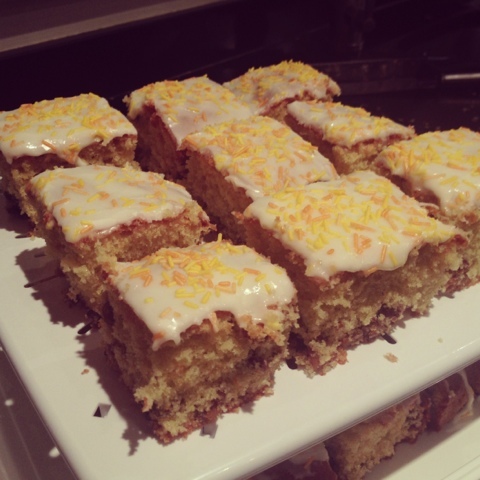 But when fully recovered, I simply could not return without cake! 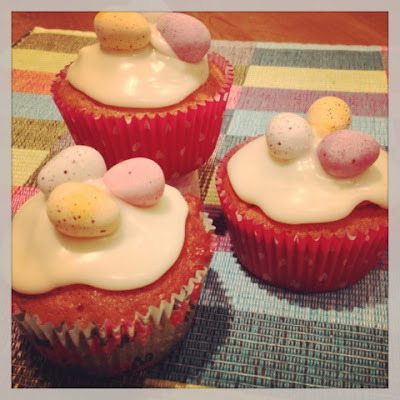 Happy Good Friday everyone, I hope you enjoy making these as a little Easter treat! I made these for a friend's party; her diabetic grandmother ate one, declared they were delicious and gobbled down two more before announcing that "Life was too short not to eat the good things." I have to say, I completely agree. This recipe was courtesy of the wonderful Peyton and Byrne, one of my favourite baking books of all time. I have yet to visit one of their bakeries, but it is a day I anxiously await. Preheat the oven to 170 degrees Celcius and line a 12 hole muffin tin with baking cases. In a bowl, cream the butter and sugar together until pale and fluffy. Add the eggs one at a time, mixing well after each addition. Sift the flour into the creamed mixture and mix until all the flour is well incorporated. Add the vanilla extract, yogurt and strawberry jam and mix until just incorporated. Using a large spoon, fill the cupcakes cases about three-quarters full with the mixture. Bake the cakes for 15 minutes or until they are springy to the touch. Remove from the oven and let them call for 5 minutes in the tin before moving onto a cooling rack. Make the strawberry jam icing: combine the egg whites and caster sugar in a large heatproof bowl suspended over a pan of JUST simmering water and whisk continuously by hand until the sugar is dissolved (this should take about 10 minutes.) When the sugar has dissolved and the syrup is warm to the touch, remove the bowl from the pan. Whisk for about 10 minutes until fluffy peaks form and the mixture has cooled. It needs to be completely cool before you add the butter. Start adding small lumps of the softened butter, whisking a little at a time after each addition. Now gradually add the jam and mashed strawberries until all is incorporated and the mixture is smooth. Chill until ready to use. Ice your cupcakes! 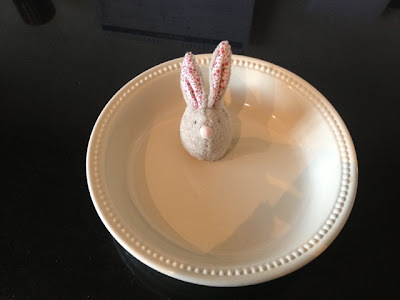 My years of baking have some catching up to do on this blog, so I've decided to post some older favorites of mine just to get going. (NB - my most sincere apologies for how daiquiri is spelt. ie most probably wrong. Just because I'm an English student doesn't mean I can spell! Obviously, being 18, whatever I made had to contain some sort of intoxicating substance, therefore rum was the order of the day! I discovered the recipe for these in the first Hummingbird Bakery Book, alongside Mojito and Piña Colada cupcakes. Cocktails AND cake? Yes please! These look spectacular but are super simple to make and perfect for an adult treat at a party! Preheat the oven to 170 degrees and line a muffin tin with cupcake cases. In a saucepan bring the rum and 30g of caster sugar to a boil, allow it to reduce by half, then set aside to cool. Hull and chop the strawberries into small chunks, then soak in the rum for 30 minutes. Using an electric mixer with the paddle attachment, set on a low speed, beat together the 40g butter, flour, salt, baking powder and remaining caster sugar. Mix until all ingredients are incorporated and are crumb-like in consistency Mix together the egg, 120g of milk, vanilla essence in a jug. Whisk together and gradually pour the liquid ingredients into the butter mixture until they have all come together. 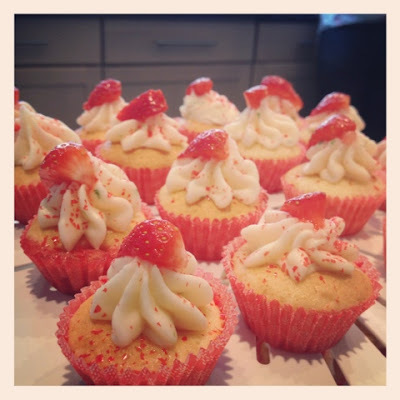 Drain the strawberries from the pan, saving the liquid and place a small piece in each of the cupcake cases. Again spoon the batter into the case filling each one two-thirds of the way up. Place in the oven for 10-12 minutes or until the cupcakes are lightly golden brown on top and springy to touch. 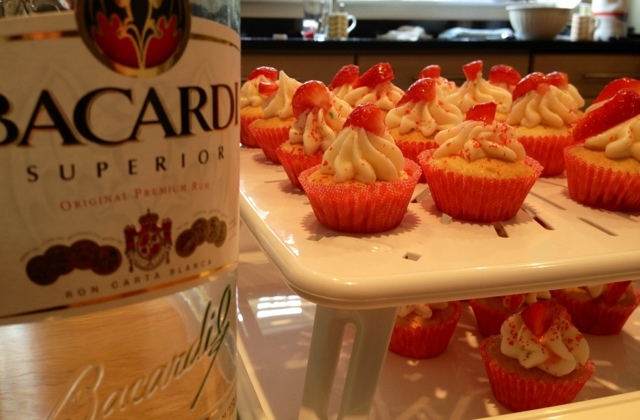 While still warm, spoon a tsp of cooled rum over each cupcake, then leave them to cool completely while you make the icing. Using the electric whisk, mix together the 80g of butter and icing sugar on a low speed until combined and sandy in texture. In a jug mix togther 4 tsp of milk, and 4 tsp of rum, then pour this into the butter mixture. Mix until the all ingredient have been incorporated, increase the speed to high and beat the icing util light and fluffy. 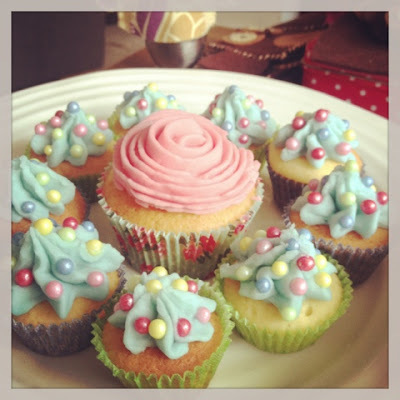 Spoon the icing onto each cupcake and spread with a palette knife. 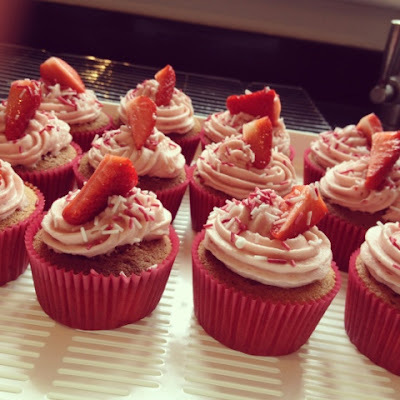 For more cupcakes, see my Sticky Toffee Pudding Cupcakes, Strawberry Jam Cupcakes and Chocolate Orange Cupcakes. This is my Mum's all time favorite so much so that slices of it have mysteriously disappeared in the middle of the night..
Another one of the Hummingbird Bakery's gems, I absolutely love using my ring cake tin, the results are always so stunning. Dotted with marvelous little tasty poppy seeds, slathered in lemony icing and a surprising tart lemony syrup on its bottom, this cake really is the quintessential afternoon tea treat. In a seperate bowl, combine the flour and baking powder. Add the flour mixture to the butter mixture in 3 additions. Beat thoroughly until all the ingredients are well incorporated and the mixture is light and fluffy. In a separate bowl, whisk the egg whites with a handheld electric whisk until stiff peaks form. 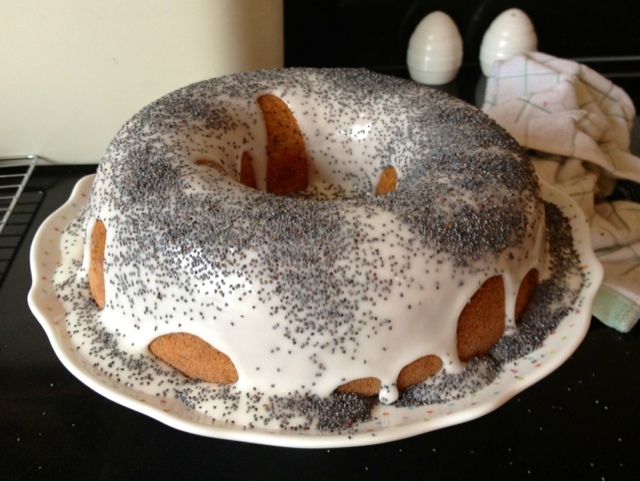 Using a metal spoon, fold the whisked egg whites into the cake mixture until well mixed but do NOT over mix. Pour into the prepared ring mould and smooth over with a palette knife. Bake in the preheated oven for about 30 minutes, or until the sponge bounces back when touched. While the cake is baking, make the lemon syrup. Put the lemon juice and zest, sugar, and 100ml of water into a small saucepan and bring to the boil over a low heat. Raise the heat and boil until it has reduced by half, or until it has a thin syrup consistency. When the hot cake comes out of the oven, pour the syrup all over the top (which then becomes the bottom when you turn the cake out.) Leave cake to cool slightly before turning out onto a wire rack. When the cake has completely cooled, make the lemon icing. Mix the lemon juice and the icing sugar in a bowl until smooth. It should be thick but pourable. When the cake is cold, pour the glaze over it and decorate with poppy seeds. Well, first things things first, it would be rude not to introduce myself. My name is Leah, I come from a little town on the Welsh border, but i'm currently studying for a degree in English Literature at Oxford. Every now and then, when my nose isn't stuck in a book or my eyes aren't burning into an essay, I find that my toes turn in and my fingers begin to twitch - tell tale signs of what my Mum has come to term a "baking urge." So i've decided to share these uncontrollable desires with you, and the rest of the world, to see if my baking can be of a little more use than satisfying my Dad's late night beer-munchies and the ever hungry mouths of my friends when I return after a long vacation at the mixing bowl!